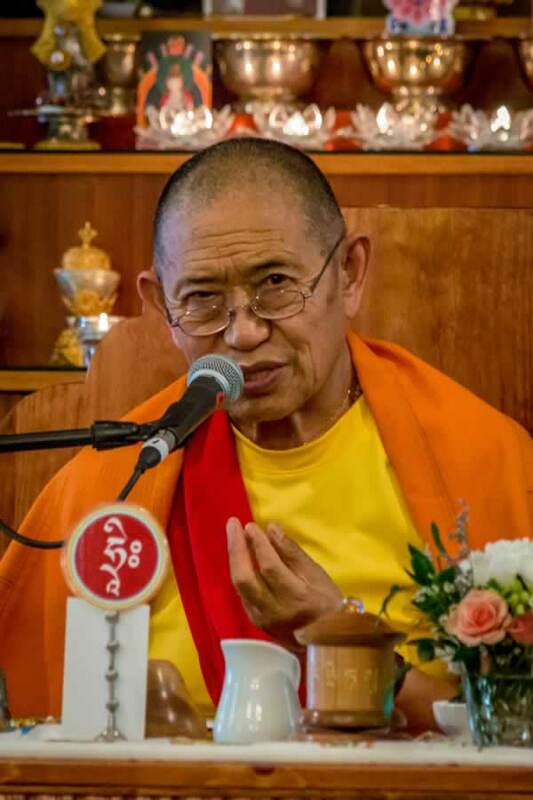 In 2018 Garchen Rinpoche was in Dayton for three weeks and gave pith instructions that he had not given before. This program is very special because we have supplicated him to give teachings and practices based upon his own experience. Usually we create a program based upon a specific text or book but with this program Garchen Rinpoche taught from his own experience in this life, from the deep realization he has developed through his practice. These teachings have come directly from his realizations of the teachings he received from his teachers. He has shared the heart teachings he received from his teachers with his students to transform their minds and create immeasurable benefits.